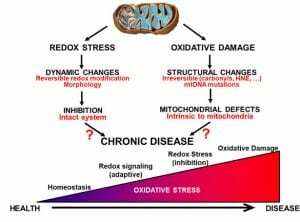 What are the structural changes that lead to increased mitochondrial redox stress with chronic disease? Why does increased mitochondria redox stress translate to cell pathology in some circumstance and adaptive responses in others? Answering these questions will improve our understanding the role of mitochondria in disease to help develop targeted interventions to improve quality of life with age and chronic disease. To address these questions we have developed a network of collaborations that allows us to combine whole animal performance measures, unique in vivo imaging and spectroscopy tools, and state of the art proteomics, molecular, and biochemical assays. The overall goal of this integrative approach is to facilitate our ability to move between translational and mechanistic studies to increase the impact of our work on both basic science and ultimately human health.